Rent The Ballantyne Hotel | Corporate Events | Wedding Locations, Event Spaces and Party Venues. The Ballantyne is located within 18 miles of Uptown Charlotte and Charlotte Douglas International Airport. In addition to its great accessibility to Charlotte, the hotel is set amidst shopping, dining, retail and a thriving business community. 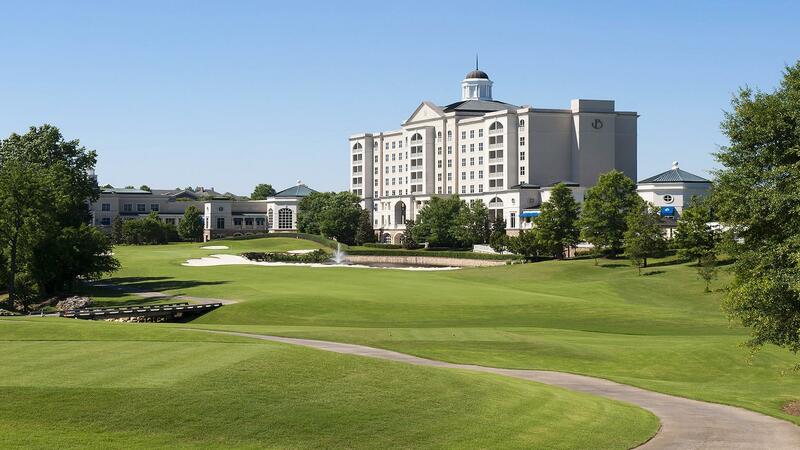 The Ballantyne, located in Charlotte, North Carolina, is a member of Starwood Hotels & Resorts' The Luxury Collection. Guests are welcomed with exceptional service, complemented by a timeless elegance. Enjoy resort-style amenities including spa, golf, fitness, exquisite dining and leisure offerings. The Ballantyne features beautiful hotel rooms, a cottage and lodge retreat with sophisticated meeting, wedding and event venues in a vibrant setting.